It has always been one of The Legal Genealogist‘s pet peeves. Males, pretty much regardless of age, always have the honorific Mister, abbreviated Mr.
Yeah, yeah, I know that boys were once called Master, and it’s even still technically accepted for very young boys — up to age eight in some parts of the country.1 But addressing any John Jones as Mr. John Jones, regardless of age, is just dandy. But a female? Sigh… For generations there’s been a distinction between an unmarried female, referred to as Miss, and a married woman, referred to as Mrs., and, of course, with her husband’s surname and not her own. I mean, seriously, where’s the equality in that kind of terminology, I ask you??? That’s the main reason why I like the honorific “Ms.” If any John Jones is Mr. John Jones, regardless of age, then any Jane Jones should be Ms. Jane Jones. Alas, the term is still not universally accepted or followed. Um, no. Not exactly. Not in the legal sense. A never-married female is a spinster. A never-married male is a bachelor. Equal terms for equal statuses, and both appearing in legal documents we may review as genealogists. Cite/link to this post: Judy G. Russell, “Equality in terms,” The Legal Genealogist, posted 28 Jan 2019 (https://www.legalgenealogist.com/blog : accessed (date)). Weren’t some single women given the title Mrs. as a sign of respect whether or not they were married? Before roughly the middle of the 17th century, the term Mistress (for which Mrs. is an accepted abbreviation) applied to married and unmarried women. 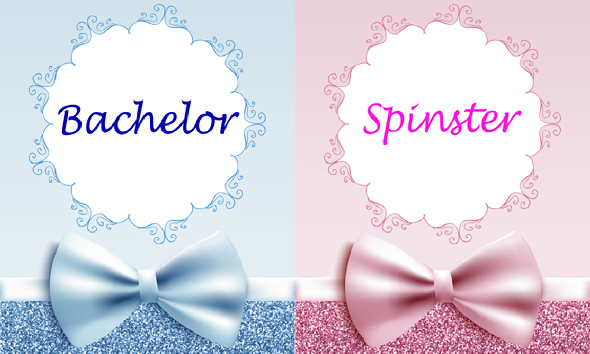 In England and Wales, “spinster” and “bachelor” were official terms for unmarried people on official documents until 2005. I had to go look this up when I reviewed the index of an 1975 parish record that listed an 18 year old girl as a “spinster”. I became curious as to why that term was still being used in 1975. I was a bit surprised to find out that it was being used officially until 2005! The things we find as genealogists! I was married in Jamaica in 2001. I was referred to as a spinster (and my husband as a bachelor) on the marriage documents. I emphatically agree with you about Ms. I use it for myself, and keep emphatically telling people that I am NOT Mrs. [husband’s name}. In the mid 80’s i was taking Business English in a Texas Jr. College. We were instructed by text to use Ms. as female designation. I remember being told that there was a quota requirement for the production of yarn or thread in the colonies. Because of this, there was often an unmarried woman in the household who earned her keep by helping the family achieve their yarn quota by spinning for them. Thus she was called a spinster. Is that actually true? There certainly was a quote in early Massachusetts, at least (see the article here) but the term “spinster” to mean spinner of yarn or thread goes back to the 14th century, according to Merriam-Webster (“When spinster first entered English in the mid-1300s, it referred to a woman who spun thread and yarn”).